Gabe Newell: "Linux and open source are the future of gaming"
“It feels a little bit funny coming here and telling you that Linux and open source are the future of gaming” are the words that Valve Co-Founder and Executive Director Gabe Newell opened with during a panel at this year's LinuxCon held in New Orleans. Fortunately, Mr. Newell took the time to elaborate on what he meant by that statement, and how he thinks we'll get there. The short answer: You. During his 20-or-so minute talk, Newell analyzed how the roles of users are shifting ever closer to that of a developer. The obvious example that comes to mind is Steam Workshop and the growing modding community as a whole. “We're going to see a significant sort of democratization in the content creation process,” Newell said. “The distinction between a content creator and a content consumer will get blurrier and blurrier. Newell accused companies like Microsoft and Apple's proprietary systems of stifling innovation through sluggish certification processes, among other things. 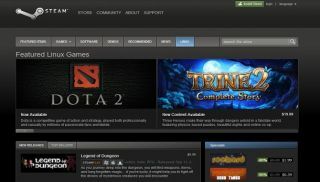 With Linux being a free and open platform, it was only natural for Valve to shift its gaze to more unrestricted pastures . “The point is that the connected groups of users are going to be way more successful if they're properly enabled and supported than any of the individual game developers are going to be.” Newell said. Newell also announced that Valve is developing a Linux debugger to aid game developers who were looking to make games compatible with the Linux platform. The talk concluded with Newell teasing that Valve will have an announcement next week laying out how the company will introduce Linux into the living room. It's tough to say whether this has anything to do with the rumored Steam Box everyone was talking about way back when, but you never know when it comes to Valve.